Slovenia Itinerary is designed to lead you thru this small country in central Europe that is often overlooked by tourists. Grab the opportunity and discover this hidden jewel. Amazing natural beauty, colorful traditions and culture, alpine lakes and waterfalls, turquoise-green rivers and breathtaking scenery guarantee a pleasant stay. Small distances and good road connections allow tourists to discover many interesting places also, if time is limited. Because of the short distances, you can have breakfast in the capital, go for an afternoon hike in the Alps and have a dinner on the coast. The best time to visit Slovenia is from May to September, when weather is nice. This emerging outdoor destination will amaze you with a wide variety of reasonable priced activities for everybody. 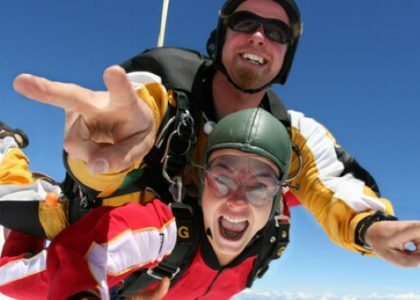 Whether you are a family with children or adventure enthusiasts – you will have a perfect time! Looking for something special this summer? 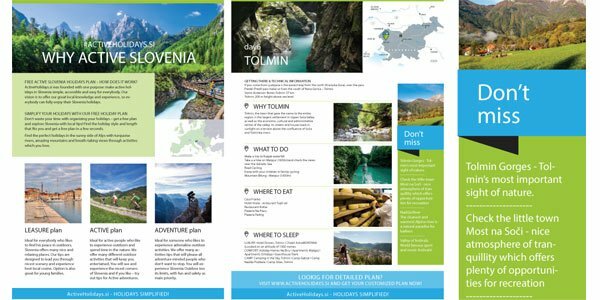 Read Slovenia itinerary tips and ideas below. We guarantee that you will be amazed! Soca valley is famous for astonishing mountains, unique emerald Soča river and good weather, as it’s located close to sea. Valley is ideal outdoor playground for all kinds of adventure experiences. 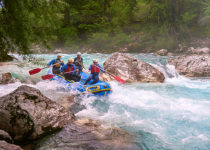 Surely most popular is rafting on Soča River. 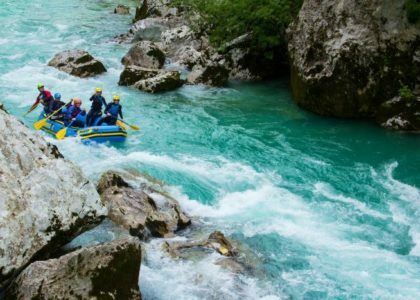 Soča is renowned across the world as river with perfect rapids, crystal clear water and magnificent scenery – Experience this first hand! Seeking for even greater adventure? Try Canyoning of kayaking! Are you familiar with ski flying competitions in Planca? Every winter for last 50 years, best ski jumpers from the world compete here. And not just for victory, but they are primarily chasing world record in ski flying. Current longest jump is astonishing 251.5 meters. Do you want to experience this thrill? Go on the steepest zip-line descent in the world. 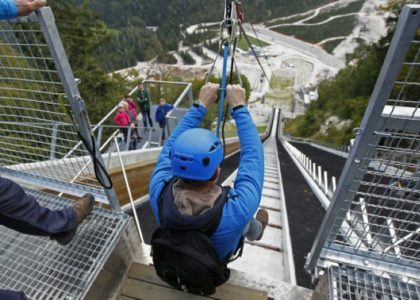 You will flying over the famous Planica flying hill exceeding 85 km/h in just a few seconds. You will remember this experience for years to come! Experience is also very fun for children older than 7 years. Lake bled is the jewel of Slovenian truism. It’s no wonder, because everybody is astonished by natural beauty of mountains reflected on the lake, the sun, the fresh air and good offer of accommodation and activities. Especially in summer, Bled Lake is very attractive for many water sports, hiking or just chilling by the lake. A cool new experience is SUP- (stand up paddle board) trip around the island. On the trip you will enjoy the perfect view of Bled Castle, Island and the glorious mountains. Krast region of Slovenia is located an hour drive from Ljubljana. Famous for amazing landscape caused by water carving thru limestone. 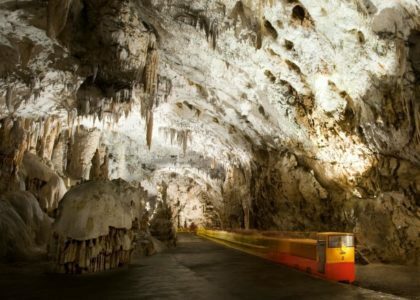 It’s most fascinating attraction is Postojna cave. This UNESCO World Heritage site is the most visited cave system in Europe! Discover wonders of this amazing underground system of caves, galleries, karst tunnels and halls with unique underground tourist train. Besides the UNESCO attraction, this region can offer much more! It is perfect idea for trip that you will remember for years to come. It’s time to relax and spend a day at the sea. Slovenian coast line is small, but colorful and packed with hidden corners that are just waiting to be discovered. If visiting Slovenian coast, be sure to stop in Piran. Here you can discover a mix of cultures and traditions from three counties – Italy, Croatia and Slovenia. Town’s history is dating back to 2nd century BC, so you can be sure to discover some amazing places and secrets. Piran is considered to be one of the most beautiful places in Slovenian and one of the most photogenic towns in the Mediterranean. 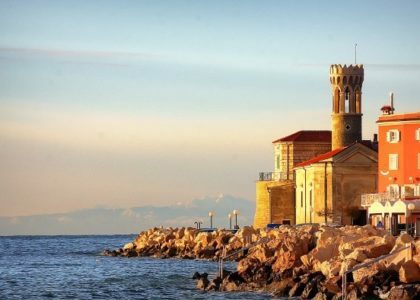 Visit Piran and enjoy the relaxed atmosphere of Mediterranean sunshine. 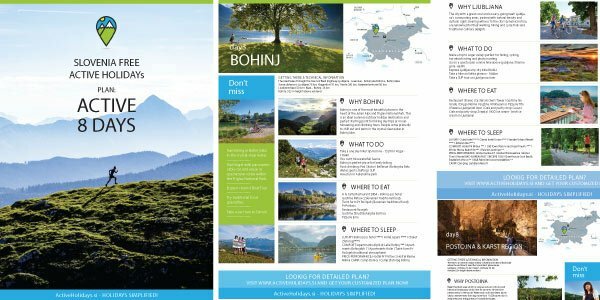 Bohinj is THE Slovenian summer outdoor holiday destination. 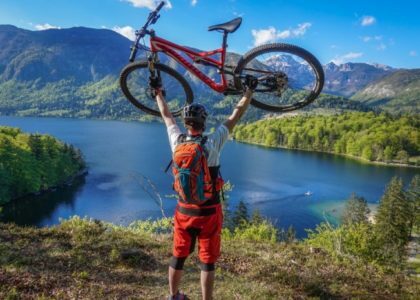 Here you can mix hiking, biking, trail running and much more with unforgeable relaxing by the Bohinj lake. This alpine lake is the largest natural lake in Slovenia. It’s surrounded by majestic mountains, so views are breathtaking. 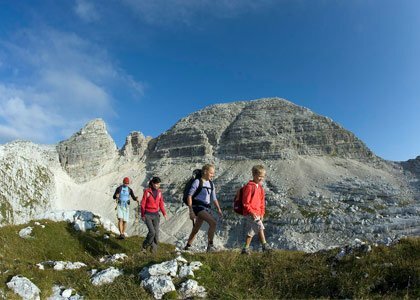 Bohinj is in the center of Triglav national park, making it a perfect starting point for hiking day trips! You can discover easy trails that run throughout the valley or try more demanding and climbing tours. 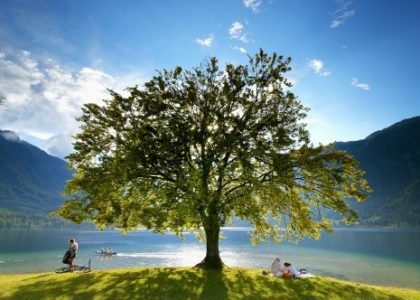 Tourists come to Bohinj primarily to relax or to swim in the crystal-clear water of Lake Bohinj. Are you a mountain biking enthusiast or just want to try it out? Bohinj is one of the nicest Mountain biking location in Slovenia. Dynamic landscapes, marked trails and amazing scenery offer a large range of opportunities for various biking trips. Enduro and all-mountain bikers will be amazed to see the collection of single trails arround Bohinj. Looking for even more adrenaline? Check out Bike-park Vogel. Panoramic cable car will take you 1000 meters above Bohinj, where you will find Bike-park with easy and most demanding trails. Beware – views of the Julian Alps are unforgeable! Because of excellent local weather and thermic wind conditions, Bovec is also a perfect area for paragliding. If you have the courage, we recommend tandem paragliding. This unforgettable experience allows you to see the beautiful valley from a bird’s perspective. 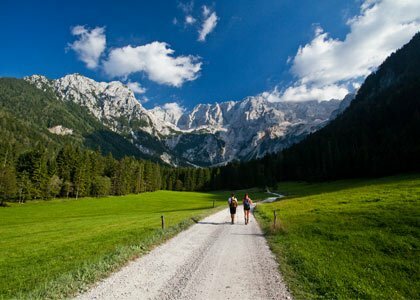 If you are a hiking enthusiast, than you must stop in Kranjska Gora. This small alpine village surrounded by mountains, is not just a winter-sports epicenter, but it has become a true summer outdoor destination. It offers great access to the heart of the Triglav national park and Soca valley. From Kranjska gora you can explore more than 100 kilometers of hiking trails, from easy recreational to more demanding mountain trails. From Kranjska gora you can do short day trips to: Planica, Tamar valley, natural park Zelenci, mountain pass Vršič and much more. Slovenia coast line is small, but packet with wonderful untouched locations. It offers huge variety of activities for everybody to enjoy. It’s a perfect relaxing ending of your trip to Slovenia. Cycling and trekking enthusiast will be amazed by beautiful scenery and trails leading thru different types of terrain with wonderful views of the area. 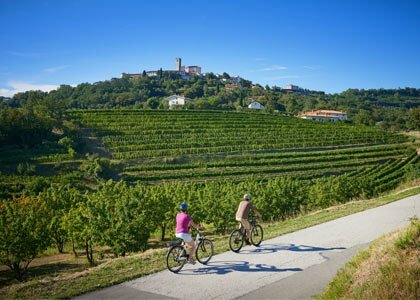 Cycling trip in Slovenian coast offers you a beautiful way to see all landmarks and discover hidden small traditional restaurants. Tracks and roads are suitable for everybody – from families and hobby cyclists to fitter cyclist. Discover the wonders of the Slovenian coast by bike. Charming cycling Paranzana route, is a must! 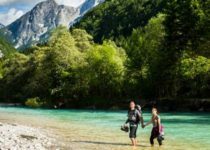 Slovenia – green peace of Europe, is an active holiday destination for everybody! Slovenian natural beauty and culture will surprise you. This small country offers many hidden corners, just waiting to be discovered. If you like our suggestions – get your Free holiday plan with even more details, suggestions and local tips. Get FREE holiday plan NOW!